Law Web: Whether sister of deceased employee is entitled to get family pension? Whether sister of deceased employee is entitled to get family pension? namely; Mohammedan Law or Hindu Law or as the case may be. husband in the case of a female Government servant. entitlement of the person after death of the employee concerned. respondent no.1. None appeared for respondent no.2. 04.07.2003 framed the following questions of law. 1. Is the Talak in the manner given – is legal? 2002 (3) Mah.L.J.602 on the present case? find that both these questions do not arise in the present matter. legal heir entitled to pension of the deceased employee? 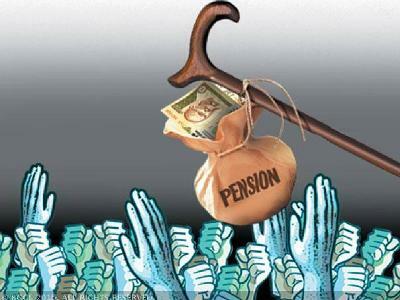 is not entitled to pension? capacity was entitled to pension or of terminal benefits due to him. widow of Sheikh Sardar was already divorced by Talak. to filing of litigation by the deceased. 11. In view of above, following order is passed. (i) Second Appeal No. 447/2002 is allowed.